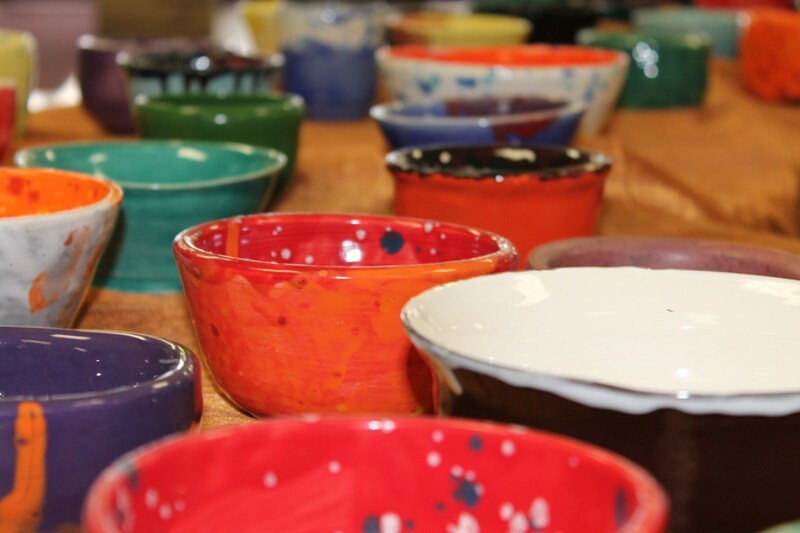 Art teacher, Christina Vanchina, brought the Empty Bowls program to Linden in 2013 when she first heard about the program and was inspired to help the community while incorporating the work of her art students. Each year students and staff create handmade and decorated clay bowls that are used to serve lunch at the student art fair. The money raised is used to provide food during the summer to families in the Linden School District whose children rely on free school lunches for nutrition. This year you can support the program by attending the Art Fair at Linden High School on Sunday, April 28th from 11:00 a.m. to 1:00 p.m. With your $15 purchase of lunch you receive both soup and bread catered by The Laundry, Crust and Alpine Marketplace to go in the bowl that you select. The bowl is yours to keep and enjoy. Linden students also provide live music to accompany your stroll through the displays of student art pieces.